The first time my family tried to make chocolate covered strawberries, we used the wrong kind of chocolate and tried to add water to the chocolate to make it thinner. Bad idea. We eventually got them dipped in a new batch of chocolate, but the strawberries slipped right out of their chocolate shells because of condensation and again, wrong kind of chocolate. Since then, I hadn’t thought to make chocolate covered strawberries for anything (partly because I really like plain strawberries)… until I saw these. 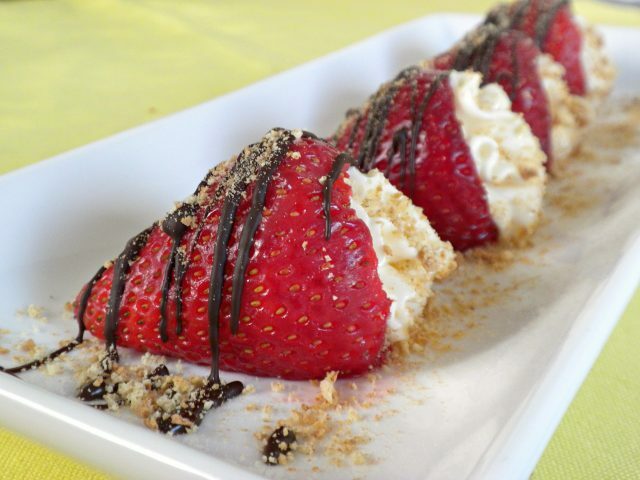 Fresh juicy strawberries stuffed with creamy cheesecake filling, drizzled with chocolate, and sprinkled with graham cracker crumbs. They’re cute individual servings of strawberry cheesecake, but way easier. Perfect for gifting or as part of a dessert bar! Beat together cream cheese, powdered sugar, and vanilla until creamy. Transfer mixture to a piping bag fitted with any tip (I used 1M but it doesn’t matter) or Ziploc bag with the corner snipped off. 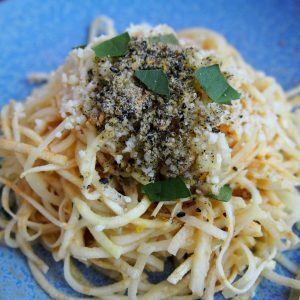 If the filling is too soft to pipe, refrigerate for a few hours. 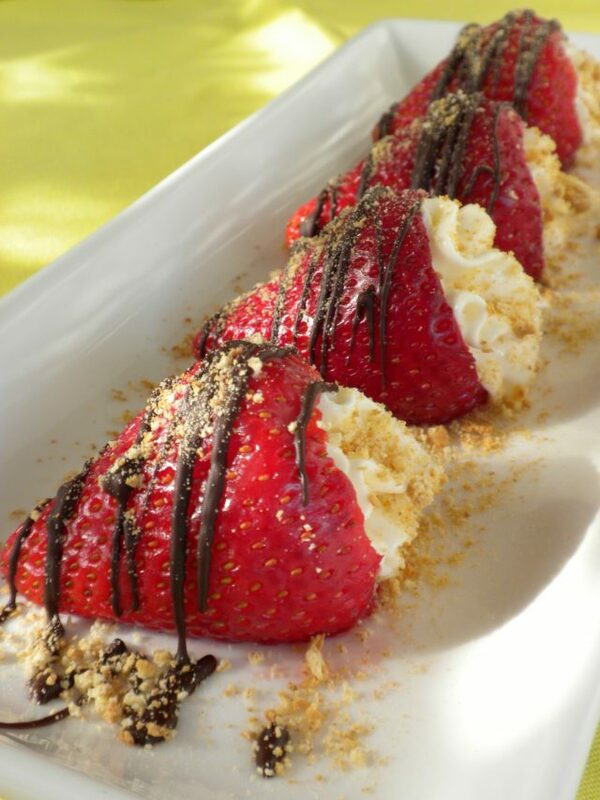 Fill strawberries with cheesecake mixture and sprinkle graham cracker crumbs on top. If desired, drizzle melted chocolate onto the strawberries with a plastic big with end snipped off. If not serving immediately, refrigerate until serving. As I’m sure you’ve learned, adding water makes the chocolate all thick and clumpy and gross. A way to thin the chocolate a bit is to add heavy cream and a bit of glucose syrup. It becomes more like a super-soft ganache, which is a lot easier to use than just melted chocolate!